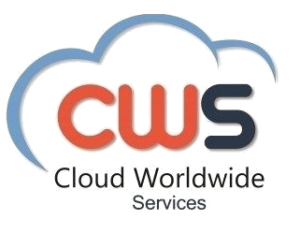 Cloud computing is revolutionizing the way we do business. According to Statista, the public cloud market is expected to reach almost 160 billion dollars by 2020, almost tripling its size from 2013 when it accounted for $58 billion. However, despite the growing adoption of cloud-based services and the numerous benefits they offer to companies, there are still some things that remain rather unclear to many. In this article, we debunk 5 cloud myths that still spark some confusion among people. Cyber security is one of the biggest concerns when it comes to digitizing services. With the increasing amount of data breaches in the last decade, it is no surprise that it is one of the top growth areas when it comes to enterprise IT investment. One of the biggest cloud myths that many people believe is that data is not safe on the cloud. Security concerns arose after data breaches at Target, Home Depot and Apple iCloud received a lot of media attention. However, many seem to ignore the fact that all of these breaches resulted from human error, and not because the cloud was hacked. Contrary to common misconceptions, traditional IT solutions and on-premise infrastructures generally face identical risks as cloud-based infrastructures. On-premise systems, also called legacy systems, are especially vulnerable to hackers because they originated before cybercrimes became prevalent, and usually restricting physical access is the only thing that protects them. In contrast, top cloud service providers have developed multi-layered security defenses to protect sensitive data. Every year, cloud systems undergo strict audits for ensuring their compliance with security standards, which is not a requirement for on-premise systems. On-premise systems are also difficult to update, which is extremely important in a world of constantly evolving hackers and tools for accessing data. In contrast, cloud systems are really easy to update to ensure that sensitive information is always protected against crime. Public cloud infrastructures were built to enable cost reduction and faster app deployment by providing Development and Testing environments, but many people are afraid that everything should and will go to the public cloud. However, not all applications are built for the cloud, let alone for the public one. It is up to your team to evaluate which apps are good cloud candidates, and whether you should go to a public or a private infrastructure. Because private cloud environments can be designed to support practically any existing application, they are sometimes the better choice for many companies. Public clouds, on the other hand, are perfect for businesses looking for a scalable testing environment to try out new technologies. According to Oracle, the percentage of workloads running in private clouds is actually 3 times greater than in public clouds. One of the most popular cloud myths is that public cloud providers will lock a company into a particular vendor. While this could be true for some providers, the reality is that more and more cloud vendors are starting to support open-source to make app deployment compatible with every cloud, development language, and operating system. With this tendency, developers are getting closer to being able to develop in any language and platform they want. On top of that, many cloud vendors give companies a range of choices to deploy services on multiple private, public, and hybrid clouds. Many people share the common misconception that when data is on the cloud, it means that it is also on the Internet – which is not necessarily the case. Actually, a cloud is a network of remote servers that can only be accessible using the Internet, but this doesn’t always mean that it is on the Internet. Unlike the Internet, which unifies millions of connections into a single global network, there are thousands of clouds across the globe that are not necessarily connected to each other. Maybe because we hear so often that something is “on the cloud”, all clouds are mistakenly treated as a single entity – which is not the case. Another common cloud myth is that cloud-based services are more expensive than their traditional counterparts, but this is usually not true. Because companies that provide cloud-based services store and process data on their own servers, they are capable of achieving huge economies of scale that allow them to reduce costs. On another hand, companies and individuals that use services on the cloud save themselves a lot of unnecessary costs on equipment, hardware, power, and system maintenance. For example, our cloud-based virtual fax and call recording solutions allow us to charge on a pay-per-use model, meaning that you only pay for the capacity that you use. In traditional services, this is usually not possible. Cloud computing is one of the fastest-growing technologies across the globe, and each time more and more companies are moving to the cloud for the deployment and consumption of cost-efficient services. However, as it always happens with new technologies, there are always misconceptions that can slow down their adoption. To avoid this and ensure that companies are innovating at their full capacity, it is important to demystify myths before they spread out on a large scale. But of course, the best way to bust cloud myths and make up your mind about a concept is to test it out by yourself. So, why don’t you start with moving your traditional fax to the cloud – at Cloud Worldwide Services, we do this for you!